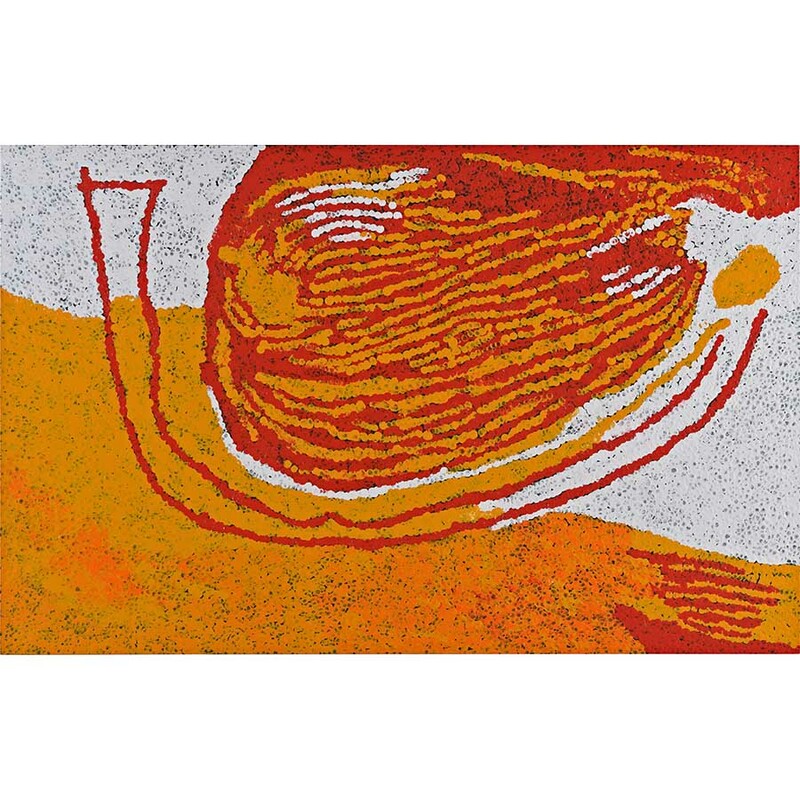 Yannima Pikarli Tommy Watson is a Pitjantjatjara elder and Lawman, and one the nation’s most distinguished Western Desert artists. Watson was born in at Irrunytju c1935. 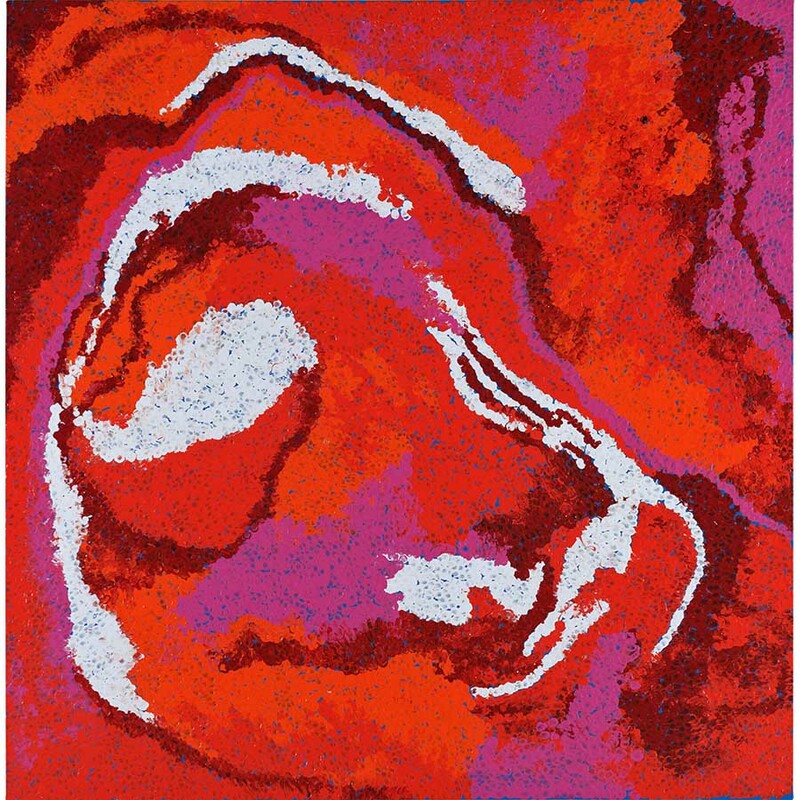 Yannima refers to Anumarrapirti, a site located 75 kilometres west of Irrunytju. Pikarli is the name of a sacred rock. 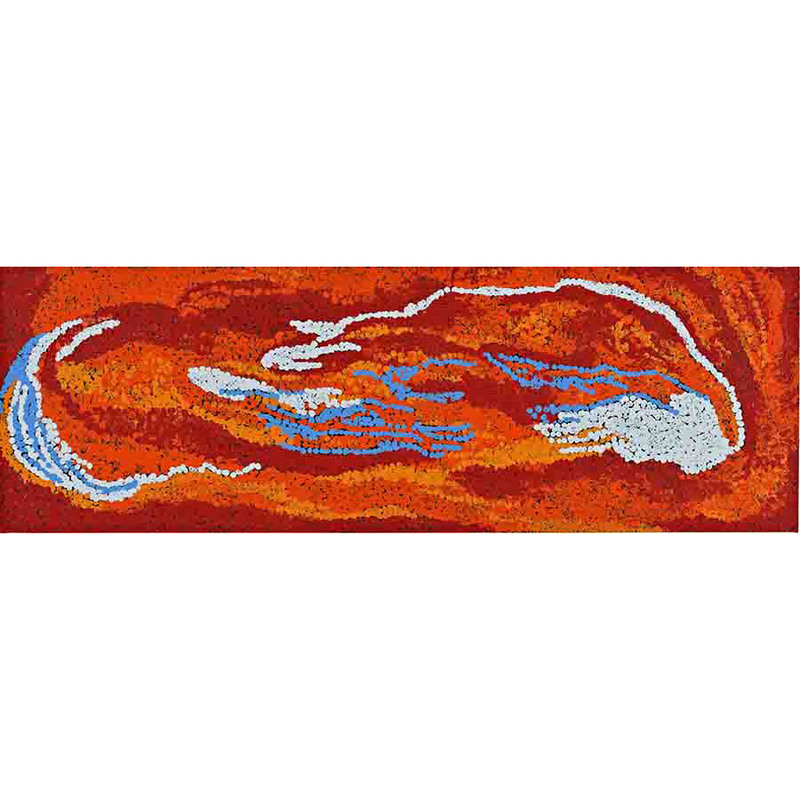 Both sites are commonly referred to in his painting. 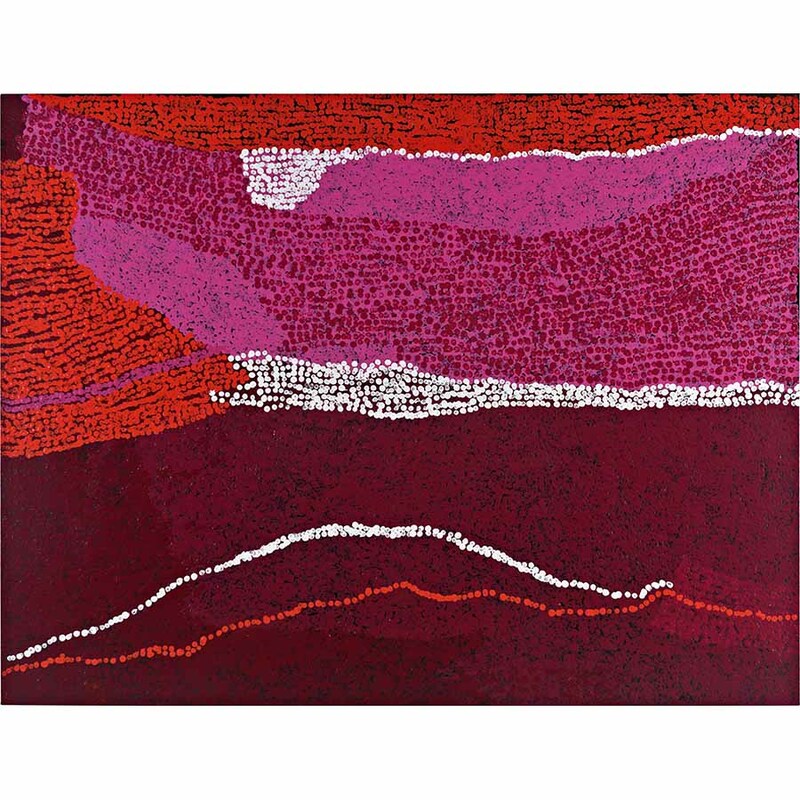 Watson began his early career as a stockman and in 2001 became one of the founding members of Irrunytju Arts. 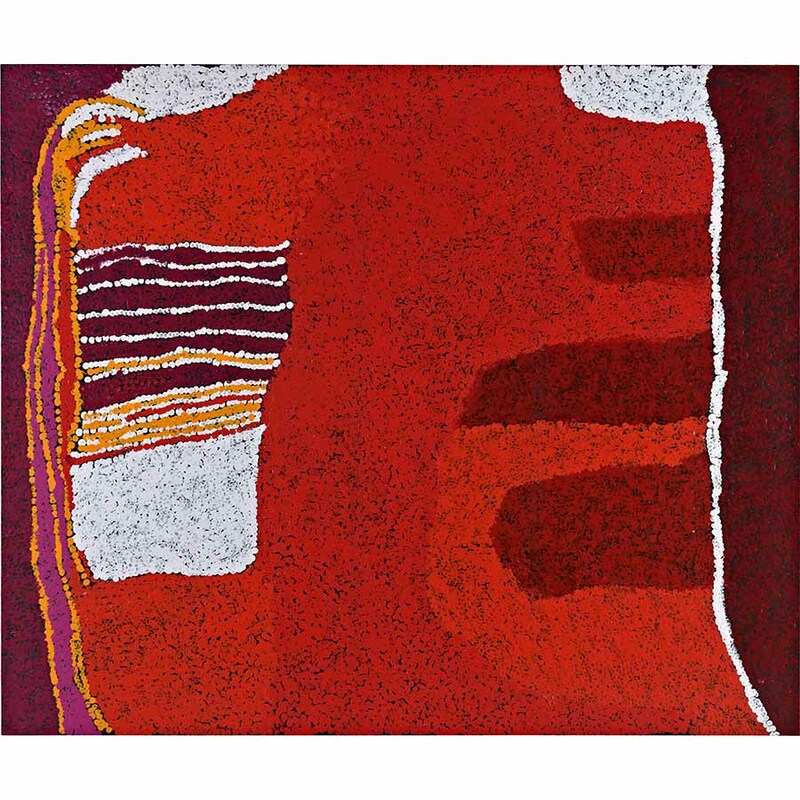 In a very short time he established his artistic distinction as a colourist and his work became seminal to the recognition of the Aboriginal Colour Power movement of the desert that developed within the Aboriginal art scene between 1984 and 2004. 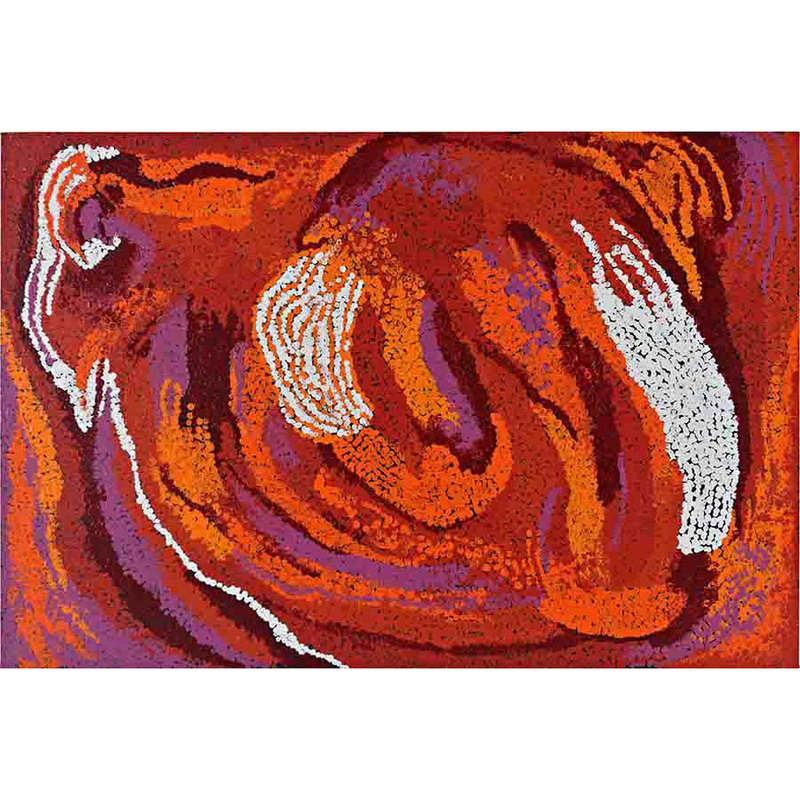 A highly individual artist, Watson was influenced early on by the ideas and stylistic form of the Papunya painters, some of whom he knew personally. 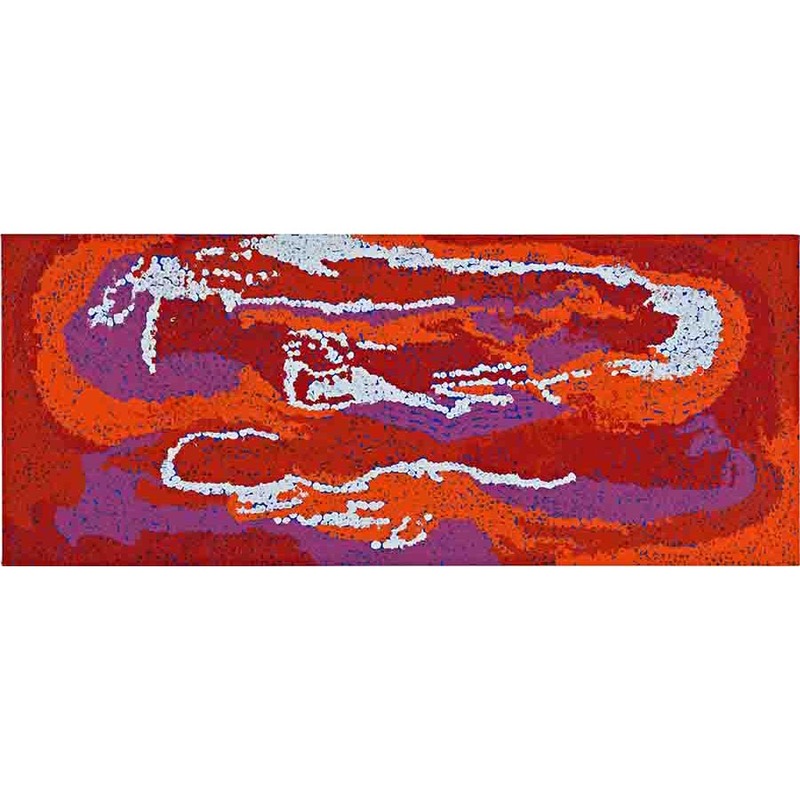 His style however moved beyond their more rigid cartographic approach pushing the boundaries of artistic ‘abstraction’ to a flowing organic and multi-layered dotted expression. 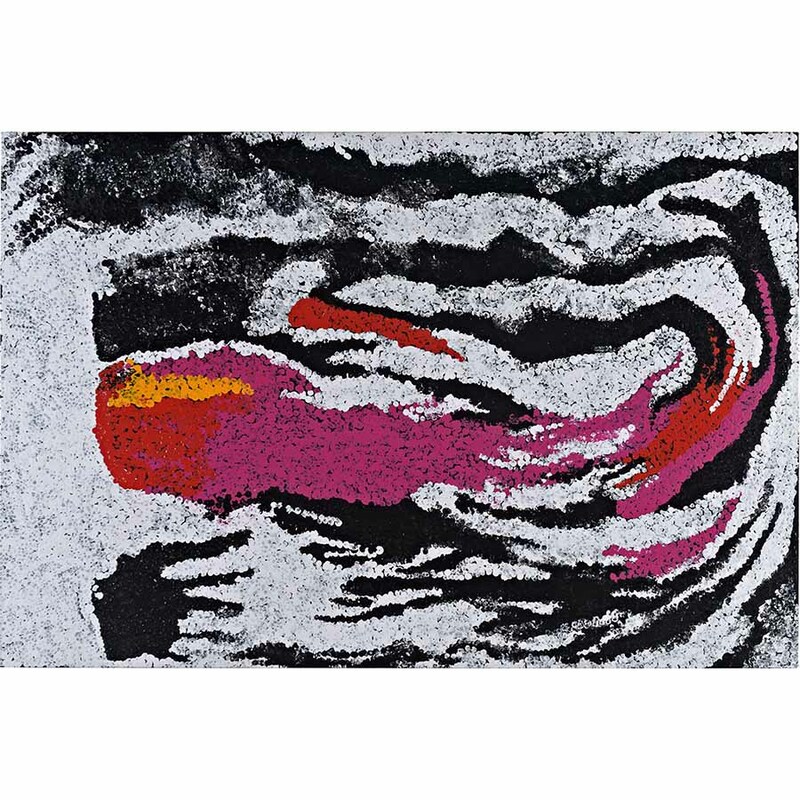 Dramatic in the impact of their colour, his paintings give potent form to Watson traditional country, representing mindscapes informed by his traditional mythological narratives. Watson paints stories from both his mother’s and grandfather’s country. His totem is the Caterpillar, a subject about which he never speaks. The titles of his paintings identify locations of personal significance, places he has visited and which are important to him. 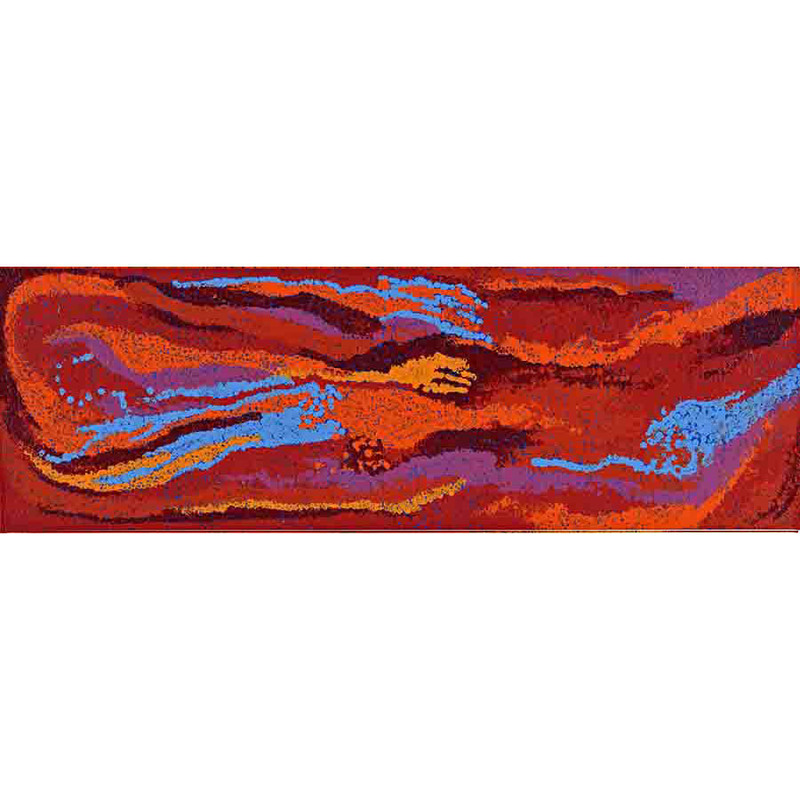 These include Umutju, Uluru, Anumarapiti, Walpanja and Utjantja. References to country around Irrunytju include names such as Waltitjata, Pikarli, Anumarapiti, Anumarapiti Ngayuku Ngura and Artilanja. 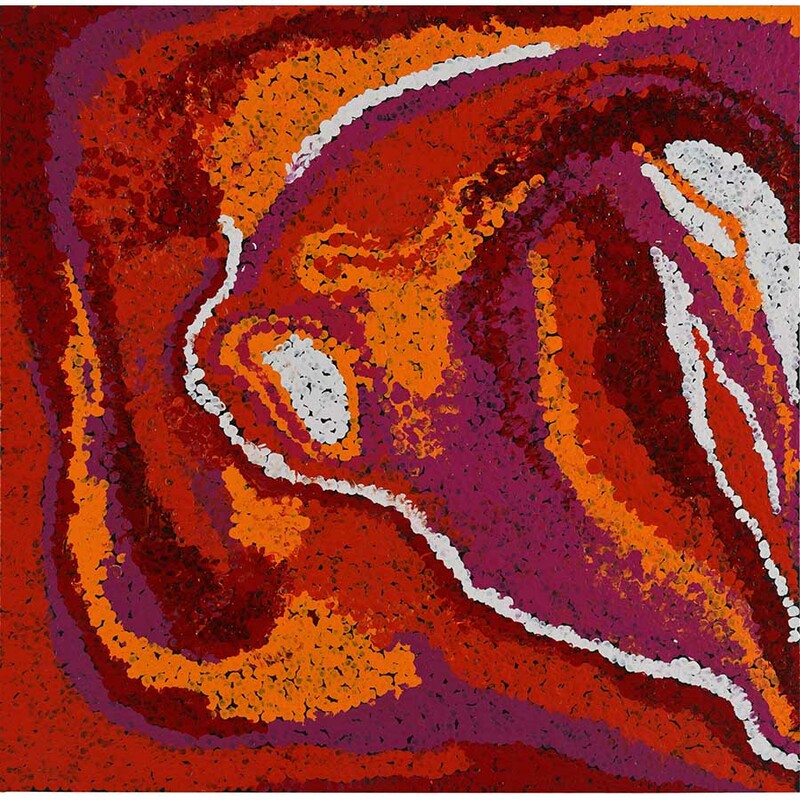 Wipu is a rock hole, Iyarka names a lake, Walu a rock face, Kapi Piti a soakage, Kulpitjara and Kulpi Kulpi a whirlwind, Utjuri Pukara, a sandhill shrub with honey dew and Wankarmaralkji a cave and Kurkutjara, a sacred place.